Hey Dae. I think a question that floats in a lot of people’s heads is licensing and music production. There are a lot of people who are leasing beats online and they have agreements where the tracks can only be used for so long, say, for example, 5,000 distributable copies of material. The issue here is, it is hard to tell if that ever happens or if it has been exceeded. The question i have is, are there any programs or maybe technology of sort that can give a trackable “per use” indicator? Almost like how companies like Adobe are “leasing” their softwares where people pay monthly and if they stop paying it stops working. Curious about your perspective on this. Thanks and best wishes. Thank you for the question, Blackbox. Unfortunately, “leasing beats” is primarily an honor system. When a beatmaker stipulates limitations on the use of his/her beats, they generally are unaware of how to verify that the use stays within the limits. Unless they are policing every use of every leased beats, it’s hard to really know. 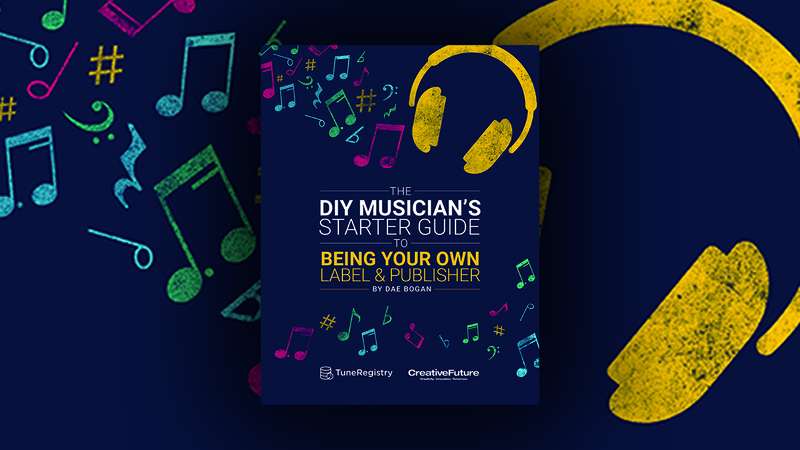 There are some tools on the market to track the use of music in general such as Tunesat and BMAT, but this will not give you the full picture of possible uses. I’m an 18 year old singer/songwriter. I’m sure you heard about blazetrak, musicxray, taxi etc. Can you give me some information on the best sites and songwriting contest to get my music heard? Question about Publishing. Say my publishing company is based here in LA, we’re on ASCAP and BMI, but a singer/songwriter is in Italy, on SIAE (PRO), I can’t navigate that site in Italian (language barrier). If I were to place his song on a cable TV network and list the song publisher: ASCAP and writer: SIAE, will the royalties get correctly split to both publisher and writer? Hi Chris – ASCAP will not collect for an SIAE writer outside of the United States. A publisher must be affiliated with the PRO that the writer has joined in order to collect the publisher’s share of performance royalties from the PRO that represents the writer. As a US publisher, you have two options: #1 Join SIAE or #2 Partner with a sub-publisher in Italy who has joined SIAE and will then collect on behalf of your publishing company and keep an admin fee and pass on the remaining royalties to you. The writer will still be paid directly by SIAE. Do you have a music business question, though? I’ve been praying recently on moving to California to start my career. When I first left my hometown of CT two years ago and moved to NYC, I trusted in God with the decision. I was broke, literally had no money but an opportunity to go to a school that would pay for my rental costs ….only problem is that those payments wouldn’t be coming in til a month later and I knew nothing about NY, had no friends or family and didn’t know where I was going to stay. I had told everyone I was going to be moving ….for the hundredth time and knew if I didn’t go I’d be pretty embarrassed and feel like a failure. But in that moment, I left my faith shine brighter than my fears and said standing in the shower…God Im not sure where you’re going to send me but, wherever you send me I trust you. Literally the second after I said that to God I received a phone call from a lady who had her place vacant for one month before her lease was up and said I didn’t even have to pay her the rent in full until I received the money from my school! I lived in NYC for 1 1/2 years before I had to move back and I’m happy I went but now, I’m wondering what to do next. Moving back to NY isn’t an option and I have a gut feeling I’m not supposed to be there. I saw your post on LinkedIn about moving to CA broke and rejected from UCLA and it honestly really inspired me to see all that you’ve become. I don’t drive, I don’t have my license, I don’t have any job secured there, but I have a vision and mission to succeed! I know and feel in my bones that I’m going to become a Philanthropist and Entrepreneur…and I’m just wondering what advice you have for someone looking to move to LA…not only to start a career but just start their life! What challenges did you have to overcome and there is anything you suggest I do before moving? I don’t want to wait any longer to move, because I live in an extremely toxic household that is really stunting my growth personally, professionally and spiritually. Any advice and suggestions you have for me would be appreciated! Thank you so much. You can’t over-think it or you’ll never do it. I am an entrepreneur, I’ve been an entrepreneur since I was a kid. Entrepreneurs must be risk-adverse. You must be willing to give your all and fail. Otherwise, it’s not for you. There is no one here to coddle you, as you know, and anecdotes from people like me who’ve made the move with nothing doesn’t set the rules for how it will happen for you. My only advice is, chose a strategy and execute on it. It could be to stay put for a few months and stack up a savings (at the least $300 to buy a one-way ticket back home if you’ve hit rock bottom) or gather what you have, engage your extended community via social media (something that did not exist when I made the move), leverage online communities to find gigs (GigSalad.com, Craigslist Gigs section, Task Rabbit, etc.) and go for it! There’s no rules and no standard plan…just ambition, courage, and perseverance.